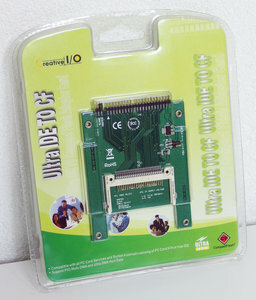 Creative I/O Ultra IDE to CF adapter. Adapter that can replace an ordinary PATA hard disk for a modern CF card. Will be shipped bulk (i.e. loose) if you choose for standard shipping. If you want to receive it with the retail packaging, then choose for premium (plus) shipping.